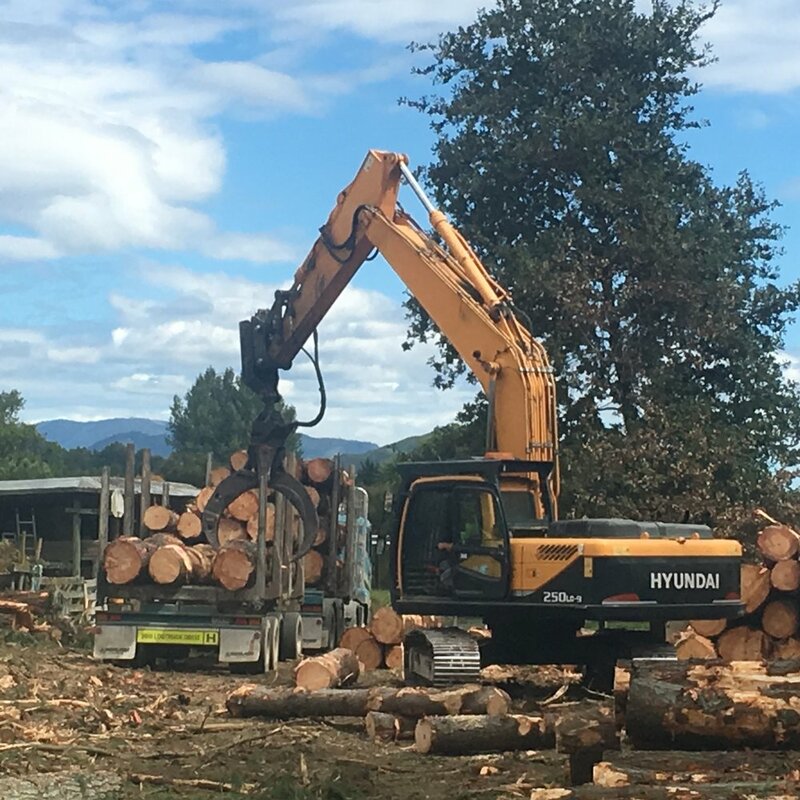 We are Nelson based arborists, offering services in tree removal, pruning and digger work. Whether you need a hedge trimmed or a tree removed, maybe a stand of trees that can be sold for timber, we have the tools, machinery and experience to complete the job without damaging your property or leaving a mess behind. We can remove any tree from your property and are specialists in difficult tree removal. Anytime. Anywhere. No tree is too big for us to handle! Pruning a tree in a confined residential section can require a great deal of skill. Leave it to our qualified and experienced staff to get the job done right, and with safety in mind. Tending to a building site, a site that is overgrown, or a site too steep to manage? We have the right machinery to make light work of your land clearing requirements. Chipping - turning greenwaste into useable mulch.